The history of one of the greatest revolutions that has ever been accomplished in human affairs - of a mighty impulse communicated to the world three centuries ago, and whose influence is still visible on every side - and not the history of a mere party, is the object of my present undertaking. The history of the Reformation is distinct from that of Protestantism. In the former every thing bears the mark of a regeneration of the human race - of a religious and social change emanating from God himself. In the latter we too often witness a glaring degeneracy from first principles, the struggles of parties, a sectarian spirit, and the traces of petty individualities. The history of Protestantism may have an interest for Protestants only; the history of the Reformation addresses itself to all Christians, or rather to all mankind. An historian may choose his subject in the wide field presented to his labors: he may describe the great events which have changed the aspect of a people or of the world; or on the other hand he may record that tranquil onward course of a nation, of the Church, or of mankind, which usually succeeds every great social change. Both these departments of history are of vast importance; yet public interest has ever been more strongly attracted to those epochs which under the name of revolutions, have given fresh life to a nation, or created a new era for society in general. It is a transformation of the latter kind that, with very humble powers, I have undertaken to describe, not without a hope that the beauty of the subject may compensate for my own deficiencies. The term "revolution," which I here apply to it, has of late fallen into discredit with many individuals, who almost confound it with revolt. But they are wrong: for a revolution is merely a change in the affairs of men, - something new unfolded (revolutus) from the bosom of humanity; and this very word, previous to the end of the last century, was more frequently used in a good than in a bad sense: a happy, a wonderful revolution, were the terms employed. The Reformation was quite the opposite of a revolt: it was the re-establishment of the principles of primitive Christianity. It was a regenerative movement with respect to all that was destined to revive; a conservative movement as regards all that will exist for ever. While Christianity and the Reformation established the great principle of the equality of souls in the eyes of God, and overthrew the usurpations of a haughty priesthood that assumed to place itself between the Creator and his creature, they both laid down this fundamental rule of social order, that all power is derived from God, and called upon all men to "love the brotherhood, fear God, and honor the king." The Reformation is eminently distinguished from all the revolutions of antiquity, and from most of those of modern times. Political changes the consolidation or the overthrow of the power of the one or of the many - were the object of the latter. The love of truth, of holiness, of immortality, was the simple yet mighty spring which set in motion that which I have to describe. It indicates a forward movement in human nature. In truth, man advances - he improves, whenever he aims at higher objects, and seeks for immaterial and imperishable blessings, instead of pursuing material, temporal, and earthly advantages. The Reformation is one of the brightest days of this glorious progress. It is a guarantee that the new struggle, which is receiving its accomplishment under our own eyes, will terminate on the side of truth, in a purer, more spiritual, and still nobler triumph. Primitive Christianity and the Reformation are the two greatest revolutions in history. They were not limited to one nation only, as were the various political movements that history records; but their influence extended over many, and their effects are destined to be felt to the utmost limits of the world. 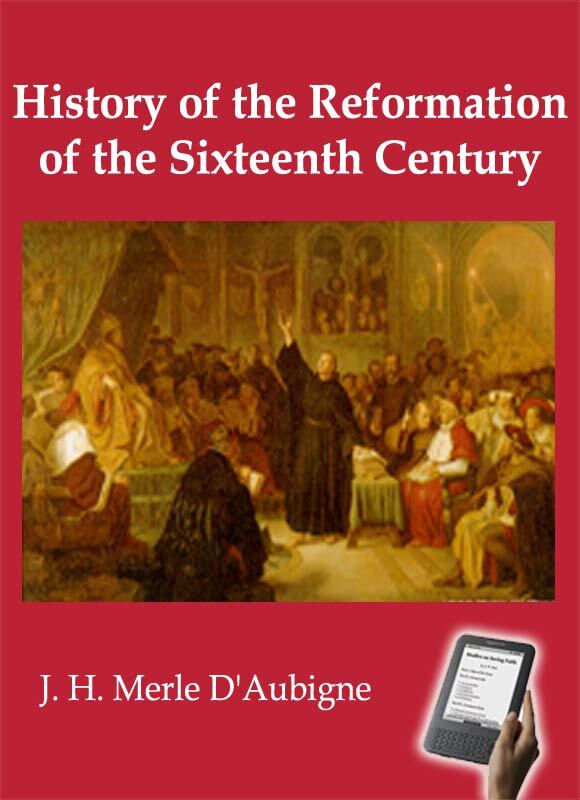 Primitive Christianity and the Reformation are one and the same revolution, brought about at different epochs and under different circumstances. Although not alike in their secondary features, they are identical in their primary and chief characteristics. One is a repetition of the other. The former put an end to the old world; the latter began the new: between them lie the Middle Ages. One is the parent of the other; and although the daughter may in some instances bear marks of inferiority, she had characters that are peculiarly her own.